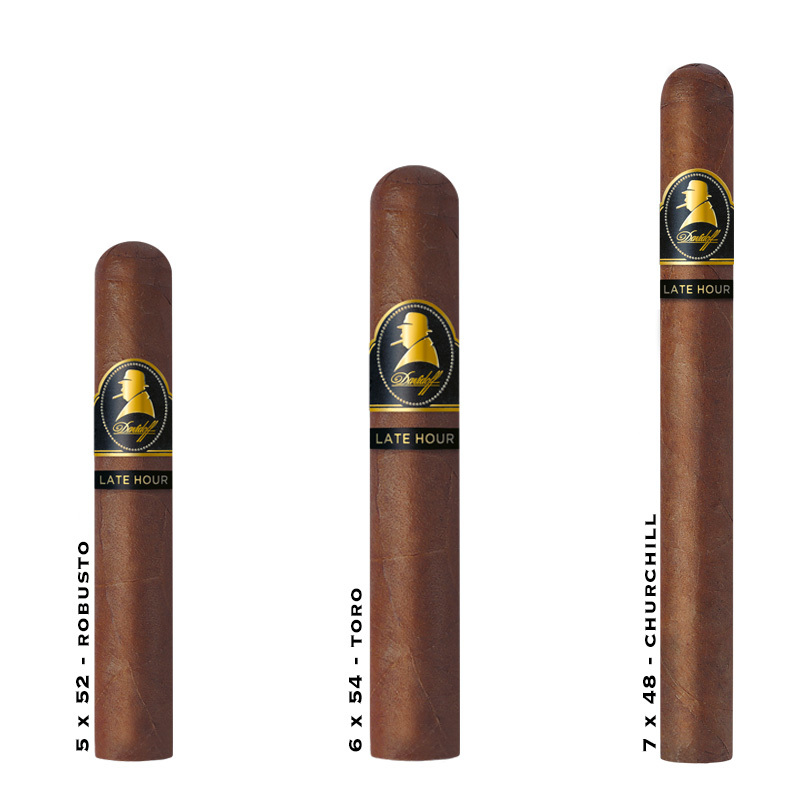 Davidoff Winston Churchill LH - Buy Premium Cigars Online From 2 Guys Cigars . It's been often said that Sir Winston Churchill would spend time in the Late Hours behind closed doors working in solitude or with trusted colleagues. During these Late Hour moments he was never without a cigar and often he was with an exceptional scotch as well. Davidoff brings together that moment with the Winston Churchill Late Hour. The Late Hour cigar is meant to be enjoyed when the end of the evening is the start of something more; when thoughts and discussions weave interesting paths into the night. To reflect the darkness during which Sir Winston was at his most creative, Davidoff has selected an oily Habano Ecuador wrapper. There are two Nicaraguan filler tobaccos grown in the rich volcanic soils of Condega and Esteli that add spiciness and depth of character to the cigar. In particular, the Nicaraguan Condega Visus tobacco is cask aged in barrels once used for Single Malt Scotch to bring a mysterious sweetness and fervency of flavour. Together with two different Dominican Visus filler tobaccos and a dark Mexican binder, the complexity of the full-bodied blend manifests in many, beautiful, robust flavours and aromas which capture the character of Sir Winston Churchill.